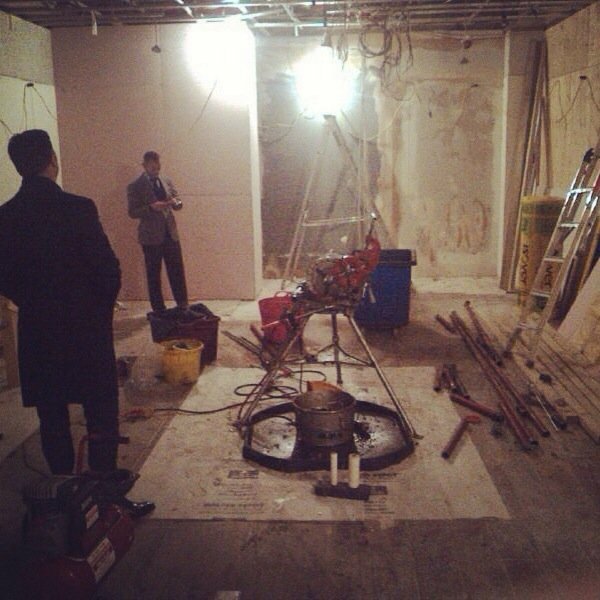 OK, it’s only a work site at the moment, but the Gaziano & Girling shop on Savile Row is looking exciting. At number 39, it might be the only shop on the west side of Savile Row that’s worth going into, and it certainly compliments tailors opposite such as Dege & Skinner and Kilgour. More importantly, it’s another piece of good news in the ascension of great, British, craft-based companies. Being an eternal optimist, whenever people bring up the number of brands owned by the Chinese, or the downfall of great tailoring names, I point to the Drake’s store, to the Anderson & Sheppard haberdashery, and now to Gaziano & Girling. Some companies are rescued by millionaires and treated as toys. Not so this new breed. You can follow the discussion on The Gaziano & Girling store takes shape by entering your email address in the box below. You will then receive an email every time a new comment is added. These will also contain a link to a page where you can stop the alerts, and remove all of your related data from the site. This is excellent news. Really looking forward to the opening. Simon, What are your thoughts on Norton & Sons? In my experience G&G are superior. I have two pairs of Lobbs and RTW G&G. There are no fundamental differences in terms of make (such as a hand-sewn welt) but G&G has lasted better for me, the leather polishes better, and there are nice details like a tightly cut and bevelled waist. Thank you, that is very helpful. Is there a G&G shoe that you would recomend for a first purchase? Do you have any opinion on Bontoni shoes or the spanish shoemaker Carmina? Not particularly on a first shoe. Go along to the showroom area on Savile Row and try a few on. And ask Thomas’s advice (French – so To-ma not Tomas! ), he’s very helpful. I don’t own either Bontoni or Carmina I’m afraid, so nothing more than the basic construction methods. Following on from previous comment , would be very interested to hear your thoughts on Oswald Boateng. Consistently original stylist and decent suits in my experience, with a floating canvas (though this is going back a few years). It’s not really my taste though.